Bereaved of her beloved father at sixteen, and now her mother, Belinda Wyncombe’s only comfort is that she still has the family’s home. 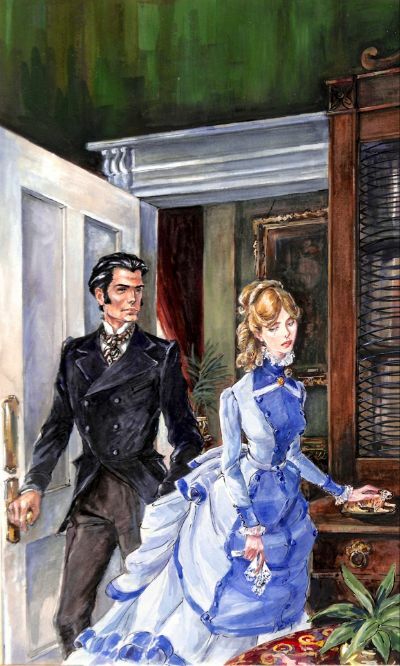 Until she finds her irresponsible stepfather, Captain D’Arcy Rowland, has squandered their money and fraudulently mortgaged the house. This means he faces jail while Belinda faces penury, unless she complies with her stepfather’s shameful scheme to gain and ruthlessly exploit the trust of the famed adventurer Lucky’ Logan, who has made a fortune with his legendary ability to find diamonds, gold and other precious metals wherever he travels. Every fibre of Belinda’s being recoils from such deceit more so when she finds that Marcus Lucky’ Logan is not the greedy fortune hunter of her imagining but a generous, handsome and heroic man. When murderous thugs come for Marcus in the dead of night, it is Belinda who raises the alarm and saves his life. And when he kisses her,Belinda is suddenly, utterly, in love but surely her love is doomed by her deceit?